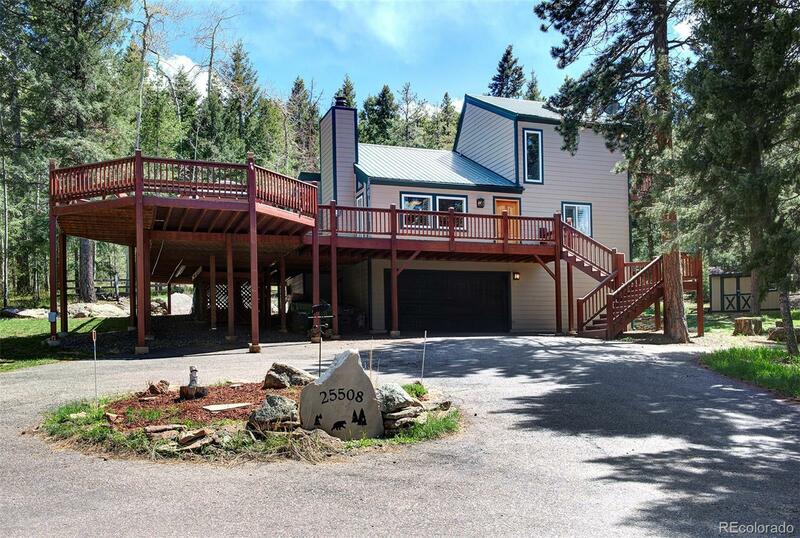 Wonderful home with a blend of updated contemporary and mountain charm on a gorgeous, private 3.2 acre lot with aspens, pines and a mountain view. Updated kitchen has newer stainless appliances and granite counters. Lofted living room with rock fireplace with wood burning insert, plantation shutters, & updated rustic light fixtures. Solid alder doors throughout and updated baths. Skylights, and doors to the fabulous deck bring in the sunshine. 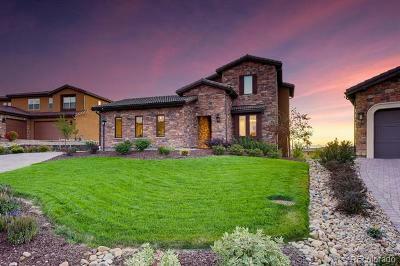 The incredible and expansive trex deck has a gazebo w/hot tub & large entertaining areas. Flagstone patio too. 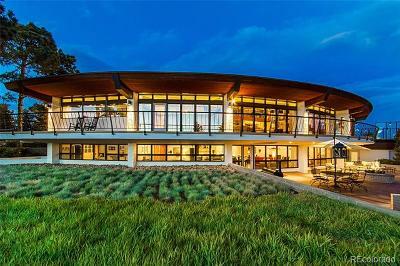 Master has private deck and skylight for looking at the stars. Wonderful 3.2 acres with storage shed, dog run, RV parking, paved circular driveway & more. Extra deep 2 car garage and lots of storage under deck. Use the neighborhood trail to Meyers Ranch Park. This is your own private mountain haven to enjoy nature & wildlife that feels worlds away, yet it's less than 5 minutes to shopping and easy access to Denver or the mountains!